Write Me A Murder love to put on live murder mystery productions. 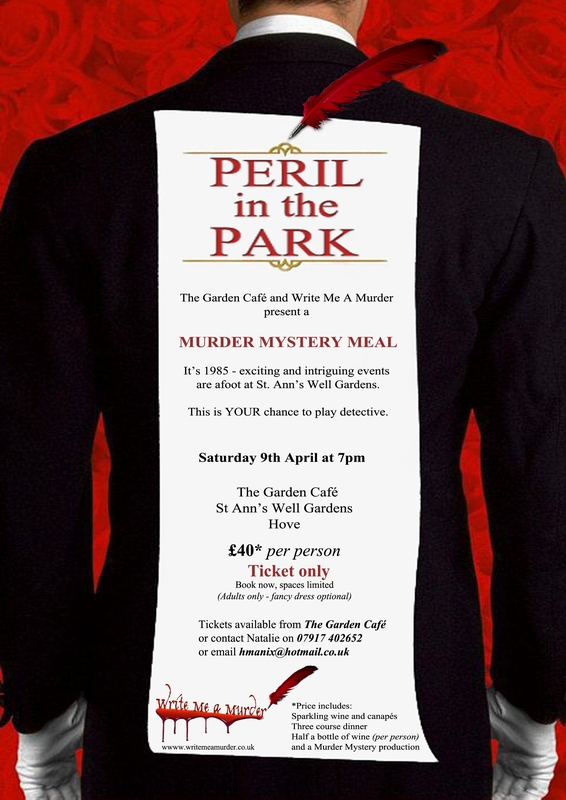 In 2011, we were lucky enough to team up with The Garden Café at St Ann’s Well Gardens in Hove for three murder mystery dinner events. Any new live productions will be announced here as soon as details are finalised. Meanwhile, here’s some information about our productions from 2011. 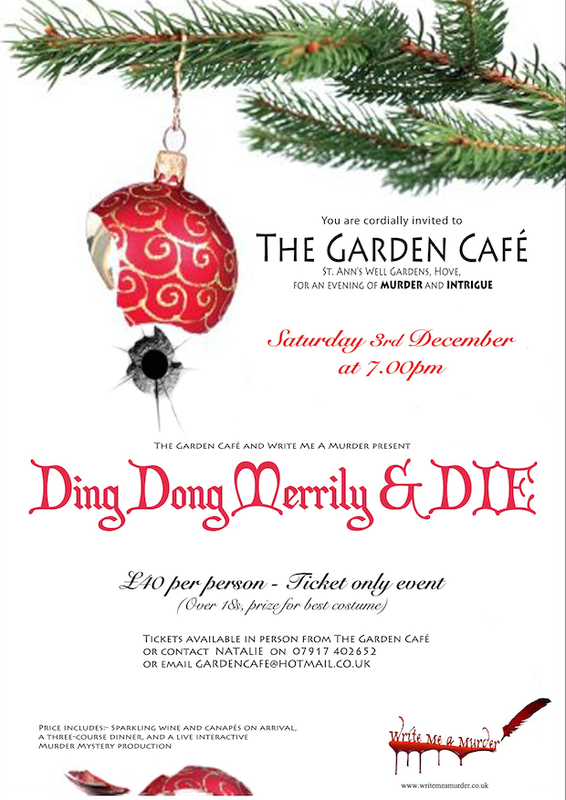 Our third (and final) production of 2011 was Ding Dong Merrily and Die, a pantomime-themed plot in which the guests played Brighton celebrities past and present! Great fun was had by all, and it put everyone in a very festive mood, helped by the chilly weather outside and the beautifully decorated tree in the café. 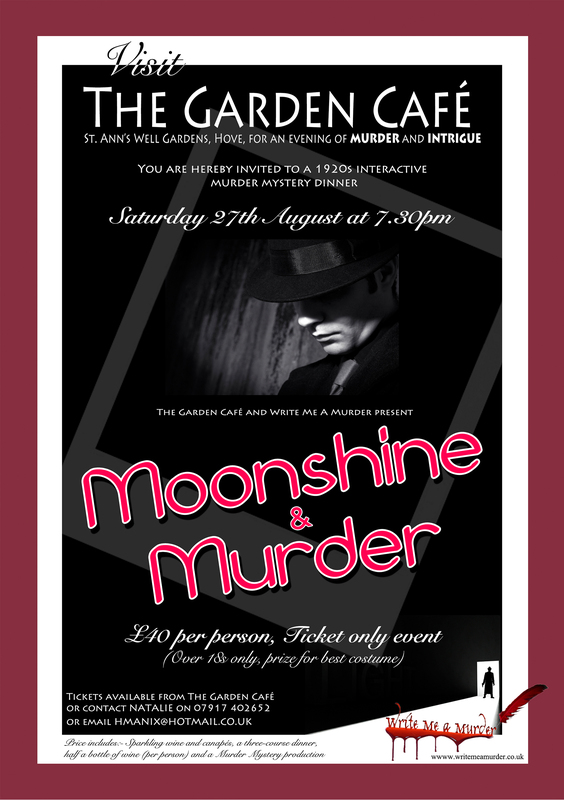 In August, it was time for Moonshine and Murder, set in 1926 and using the café as an illegal moonshine bar in the middle of Prohibition. The guests were fantastic, in full 1920s fancy-dress and joining in with proceedings with great gusto. Back in April, our inaugural plot was Peril in the Park, using St Ann’s Well Gardens and its interesting history as the basis for a dastardly murder, set in 1985. It was a great evening and the guests threw themselves into it very enthusiastically.